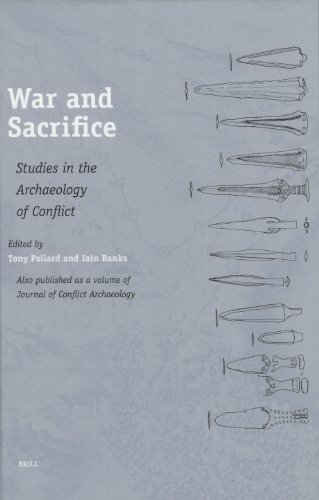 This collection of papers on the archaeology of conflict covers a wide range in both time and space, running from Sub-Neolithic Finland to early Modern Ireland. The papers include a diverse series of approaches to the study of conflict, using excavation, osteology, artefacts and linguistics. <b>Tony Pollard</b> MA, Ph.D., MIFA, FSA Scot is Director of the Centre for Battlefield Archaeology at Glasgow University. He was co-presenter of the BBC television series 'Two Men In A Trench', the first battlefield archaeology TV series. He has carried out battlefield projects in the UK, Africa and South America and has published widely in archaeology.<br /><b>Iain Banks</b> MA, Ph.D., MIFA, FSA Scot is Director of Glasgow University Archaeological Research Division. He has worked on numerous battlefield projects in the UK and overseas and is a specialist in geophysical survey. Other research interests include the Atlantic Iron Age and post-medieval rural settlement. He has published widely on various aspects of archaeology.